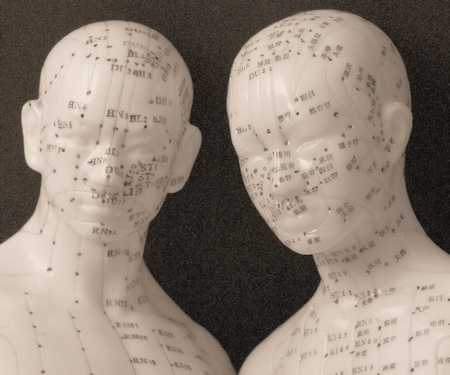 As an acupuncture practitioner, the thought of paper work and documentation is dreadful and tedious. SOAP Notes are even more painful when you're recording the needle points used during a treatment. And to run a professional medical acupuncture practice and to adhere to health guidelines, taking proper notes is essential. One of the main goals of Jasmine Practice Management is to make SOAP Note recording as accurate and simple as possible and to get acupuncturists back to treating patients. 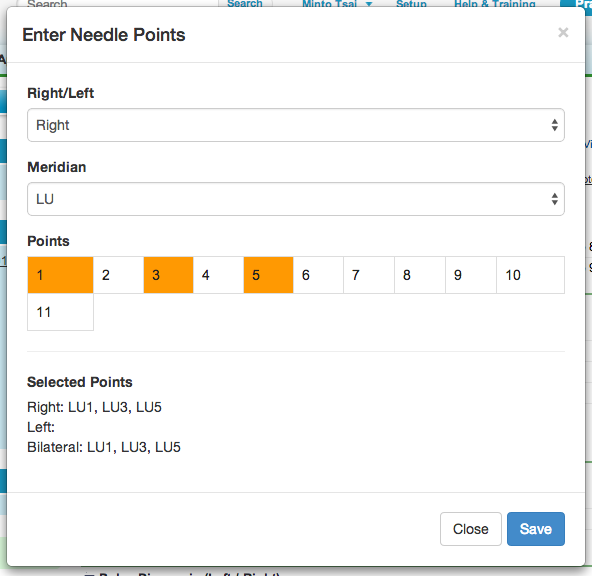 In our latest release we move closer to this goal with the ability to easily add needle points. The new "Add Needle Points" button opens the Needle Point dialog. On the dialog, the practitioner selects the unilateral or bilateral insertion, so Right, Left or Bilateral. Next, the practitioner chooses from the 14 meridians (LU, LI, HT, SI, PC, SJ, GB, LV, UB, K, ST, SP, DU, REN) and the corresponding points are then available to be selected. The results of the needle points selection is recorded in the SOAP Note in the Points & Methods field under the Needle Plan section.